The model 611.10 and 631.10 capsule pressure gauges are based upon the proven capsule measuring system. The capsule measuring principle is particularly suitable for low pressures. On pressurisation, the expansion of the capsule element, proportional to the incident pressure, is transmitted to the movement and indicated. The case is made from black lacquered steel with a snap-fitted window. The material of the process connection is a copper alloy with model 611.10 and stainless steel with model 631.10. The modular design enables a multitude of combinations of case materials, process connections, nominal sizes and scale ranges. Due to this high variance, the instrument is suitable for use in a wide range of applications within industry. 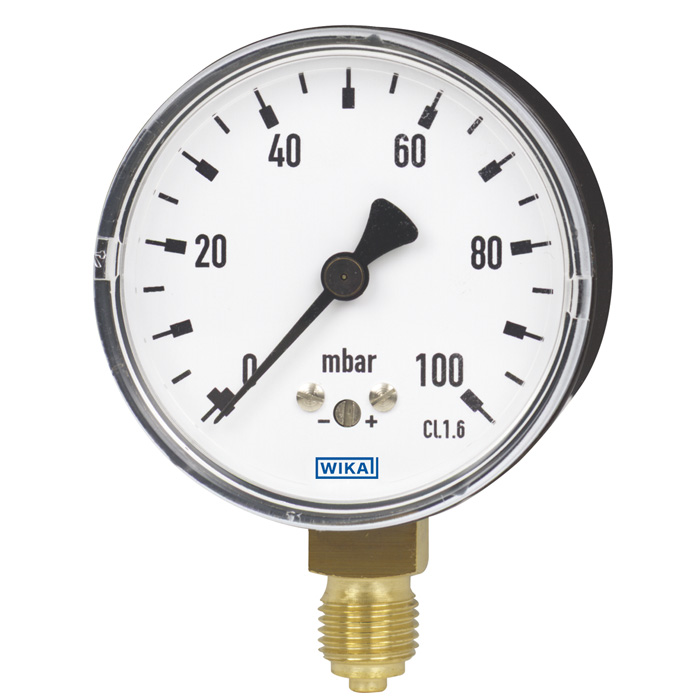 For mounting in control panels, the capsule pressure gauges can, depending on the process connection, be fitted with a surface mounting flange or with a triangular bezel and mounting bracket.